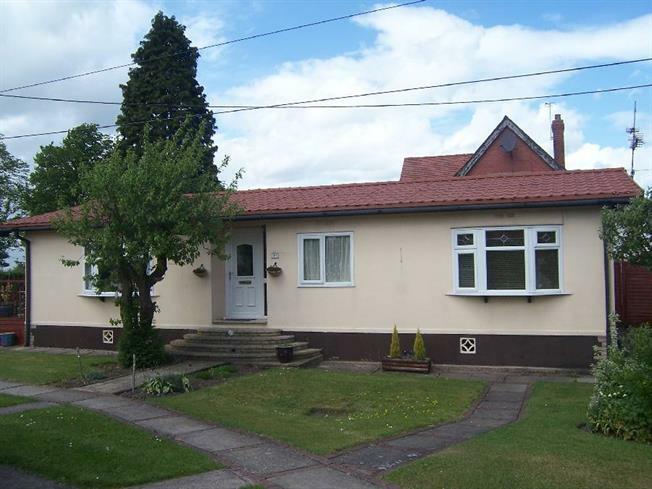 3 Bedroom Bungalow For Sale in Macclesfield for £90,000. This is the largest home on this site of twelve. A three bedroom detached property in Bosley which has been fully modernised throughout with new central heating, beautiful double glazing, insulated walls, a contemporary refitted kitchen and shower room. Outside is a raised lit decking area allowing a spacious outdoor seating area. There is also nicely landscaped gardens and parking. Fabulous range of wall and base units in gloss white with complementary work surfaces over, space for appliances, dishwasher and washer, integrated Calagas oven, wall mounted Glowarm boiler, pelmet lighting and ? lighting, door to side, double glazed window to side, wooden ceiling. Double glazed frosted window to side elevation, part tiled walls, corner shower cubicle with hydro therapy shower with multi jets, vanity basin with cupboards underneath and low level WC. Double glazed window to side, radiators. There is an outside decking area with lighting, lawned areas to the front and the side of the property and the outside sockets and lighting are remote controlled and there are mature trees and shrubs.